**Provided from Fire Code Interpretation 92-FCI-004. Consult policies in your Province or State for regional regulations. Safety Supplies Canada is your qualified and certified servicing solution! 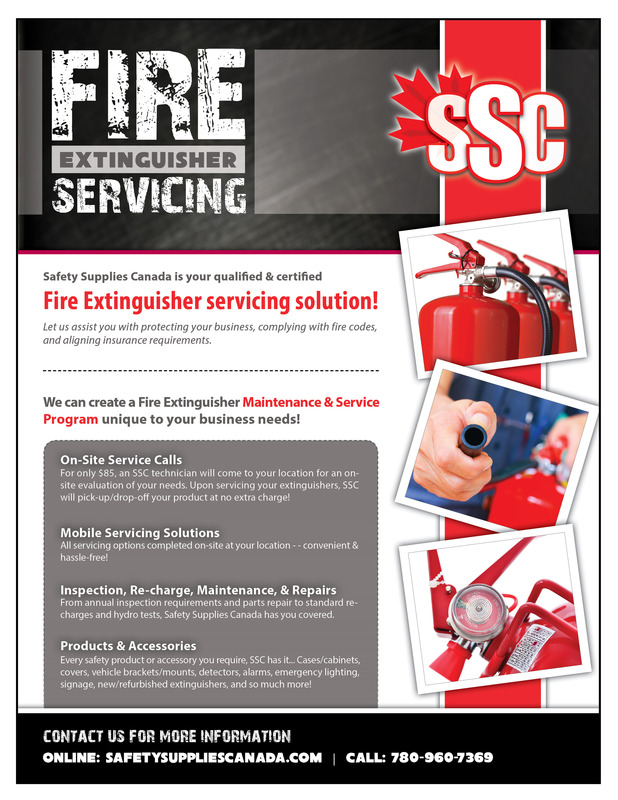 SSC is trained to inspect, maintain, re-charge, repair, and hydro test your Fire Extinguishers in accordance with local, regional, and federal regulations. Along with all servicing options, we can provide On-Site & Mobile Services and a variety of Fire Extinguisher Products & Accessories! A unique-to-your-business Maintenance & Service Program can be created just for you, for full details on this program see our detailed Program Information Sheet. New & Refurbished Extinguishers and Accessories available for purchase. See our Fire Safety product section.